Posted November 16, 2018 by finnfemme & filed under Beauty, Fashion, Vintage. 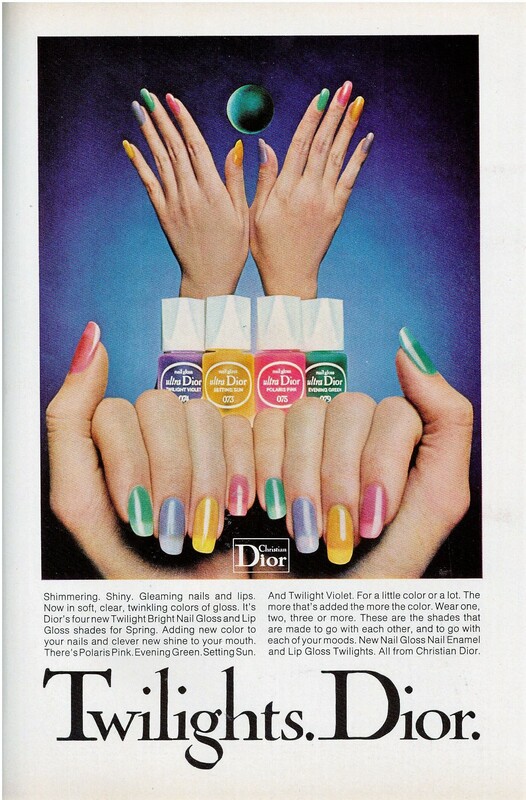 This fabulous 1973 Christian Dior nail polish ad is very forward-thinking; it feels modern and on-trend. Even the use of one word with a period – Twilights. Dior. – is very current. Shimmering. Shiny. Gleaming nails and lips. 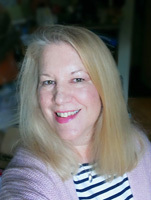 Now in soft, clear, twinkling colors of gloss. 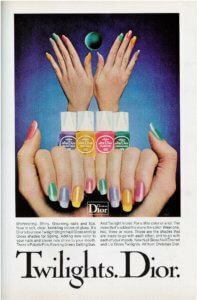 There were four new Dior Twilight Bright Nail Gloss and Lip Gloss shades for Spring: Polaris Pink, Evening Green, Setting Sun, and Twilight Violet.